Shopping for a mattress can be daunting. There are so many brands and types out there, it’s difficult to sort through your options and understand what you’re really getting. That’s why we decided to simplify things when we created our Room & Board mattresses: offer only the best types, made from the best materials at the best price. 1. You are never be pressured to buy. Our non-commissioned Design Associates will help you find a mattress that’s comfortable for you, without pressure. 2. You always get our best deal. No gimmicks, no holiday sales. We set our prices on December 26 and guarantee them for a year. You’ll get the same fair price regardless of when or how much you buy. 3. You can shop the best of the best mattress designs, all under one roof. No hopping from store to store to try out all the options. We have high-quality latex, memory foam, encased coil and innerspring options ready for you to try out, side by side. Simply select the mattress that’s right for you, knowing that our quality matches—and in most cases exceeds—the competition. 4. 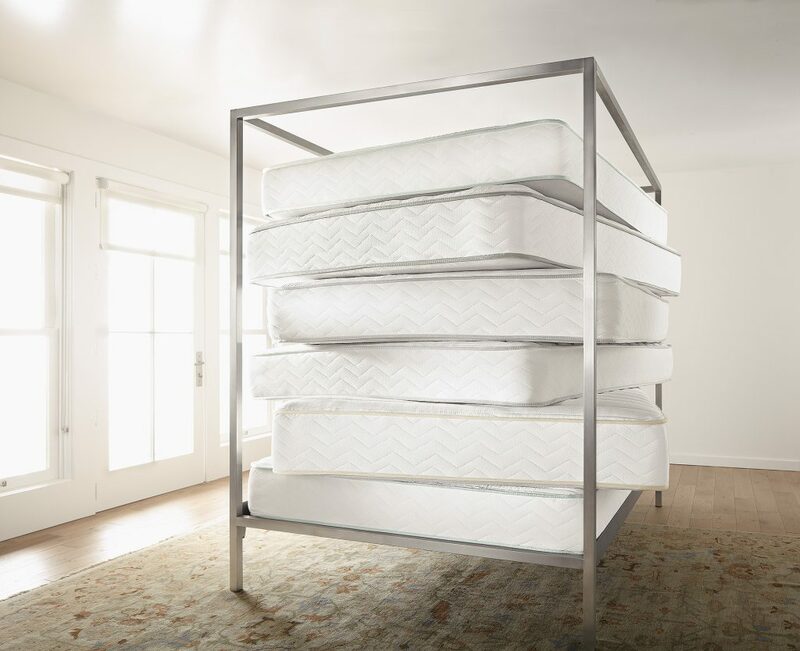 You can count on a safe mattress that’s made in the U.S.
Our manufacturing partner, Restwell, uses natural fibers, organic cotton and CertiPUR-US® foams. Rest easy, knowing you’re not sleeping on chemicals. 5. You get convenient full-service delivery and easy returns. We’ll deliver unlimited items to your home for one flat rate, and dispose of your old mattress. If you’re also ordering a bed frame from us, we’ll deliver and assemble everything at the same time so you can enjoy your new bed right away. Plus, we offer free return and exchange delivery service on any item you buy from us. Learn more about our mattresses, visit a store to try them out in person or shop online.